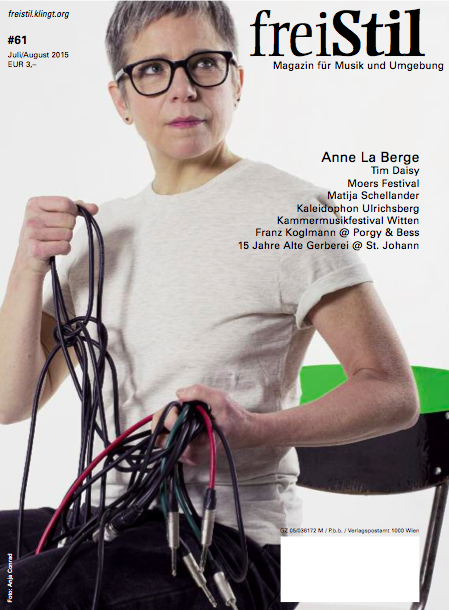 Flutist/composer Anne La Berge is featured on the cover of the July 2015 issue of freiStil magazine. Inside, an in-depth interview delves into Anne’s history, music, and politics. Anne can be heard performing her live Kyma-processed flute compositions at the Berlin Heroines of Sound festival in 10-12 July. Pianist/composer/educator Stanley Cowell will be using Kyma 7 to process his piano as his quartet performs for the first time at the prestigious Village Vanguard club in New York City. Cowell will be joined by saxophonist/flautist Bruce Williams, bassist Jay Anderson, and drummer Billy Drummond. Check out some of his recent tracks.